Street & School photographs, games, food and songs of bygone days of yor. GlescaPals motto: "Learn from the past, use well the future"
Glasgow Green, Streets, Schools, Railways, Buses, Trams, Churches, BB, Scouts & Guides, Masons, Orange-Lodge. GlescaPals Adverts books, paintings, music etc. GlescaPals is a social history of Glasgow with a compilation of stories and photographs from myself and pals from all over the world. I was born and brought up in Glasgow's east-end, Bridgeton - a well known district of Glasgow and take great delight that this website has brought the history of my area and surrounding areas into the homes of people all over the world. 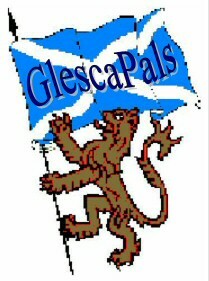 GlescaPals has reunited many long lost friendships and relations and many have made new pals through the GlescaPals website, guestbooks and messageboards. Glasgow - known as Glesca (Glesga) - is my favourite city, I hope you get enjoyment from my website, spread the word, have a wee blether on the messageboard, leave a message on the guestbook, but most of all - enjoy yersell!.